MCG BioComposites provides raw materials that enable your operation to proudly provide ecologically sound products that adhere to the principles of recycling. Biocomposites divert waste product from landfills. We reuse corncobs, a by-product of corn growth from seed corn. Post-industrial recycled content bridges the gap between pure plastic and by-product cellulose fiber material. Plus, our materials are recyclable as #7 plastics. We produce a value added product that can be used in a variety of applications that are currently used with petroleum based materials. 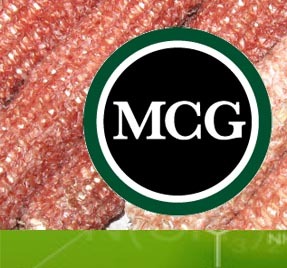 We manufacture our brand of plant markers, MCG BioMarkers™, with our proprietary blend, MCGB DuraMaze™, BioComposites. lawn and garden and industrial applications. Our expertise in blending biomass and plastics for various molding applications results in quality formulations tailored to your specifications. MCG BioComposites certifies the moisture level of our bioresin compounds. By incorporating these materials in your products, you conserve resources and promote sustainable operations while meeting government compliance and USDA certification requirements. For high-performance bioresin compounds and custom engineered molding solutions, contact MCG BioComposites, LLC.